Please tell us about your Floor Cleaning and Polishing service needs. Send us a note! Valor Janitorial understands the value of a first impression, and your floors are often the first thing visitors see to form their impression. 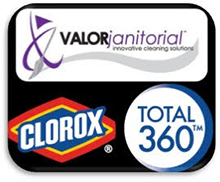 Valor Janitorial’s Dallas-Fort Worth commercial floor cleaning services will help enhance the image of your facility. We accomplish this by designing a customized floor maintenance program tailored to project the strongest first impression you want each guest to have upon entering your facility. Our experienced and trained staff are able to understand your special needs and develop a cleaning schedule based upon your requirements. Every commercial cleaning team member has received comprehensive professional training. Valor Janitorial crew members know they are highly valued and respected, and they treat our clients with the very same respect.